Wells Fargo’s new TV spot is fun to see, but puzzling to watch. The Bank that was established in 1852 says it is being re-established in 2018, but the ad gives little clue as to how. More than missing the mark, Wells Fargo missed an opportunity to show how it will rebuild customer trust. The latest Wells Fargo TV ad aimed at rebuilding customer trust says the bank was established in 1852, but re-established in 2018. The ad, with historical footage, is pleasing to watch, but the message is harder to perceive. Kalm’s criticism hits the mark. The slick TV ad and the big spread in the WSJ fail to offer much concrete assurance to Wells Fargo customers that there is a new sheriff at Wells Fargo. The most concrete change mentioned in the ad is elimination of sales targets for managers, who instead will be rewarded based on customer satisfaction. The ad is short on describing what constitutes customer satisfaction, either for manager pay or for customers. It all feels like a big ad campaign as opposed to a genuine effort to re-establish trust with customers. It also feels like a gigantic missed opportunity. I should note CFM uses Wells Fargo as its banker. I have accounts and a mortgage through the bank. By and large we have been satisfied with the service we receive. Most Wells Fargo employees we deal with are friendly and responsive. We have had teams visit us to discuss our banking needs and the bank’s new services. My reaction to the ad campaign has more to do with disappointment that it didn’t contain more substance, more assurance. 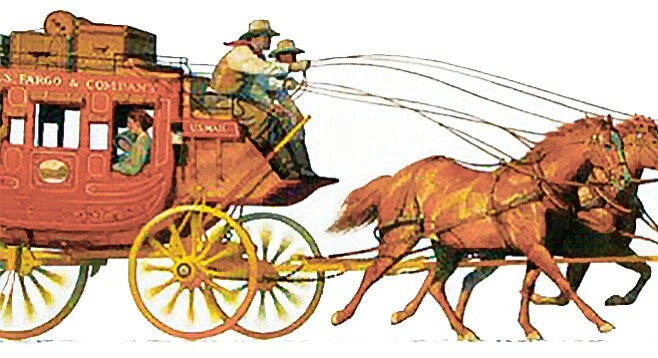 Kalm said the ad left what substance there back at the depot after the stagecoach departed. The ad campaign seems borne out of the view that trust is built by believing what people say instead of measuring them by what they do. I don’t feel alienated from the bank, but I also wasn’t reassured by the ad. There will have to be more cow and less bell. Bank officials have discussed using “data” to learn more about their customers. Here’s another suggestion – go visit them, find out what makes them tick and ask what problems they are trying to solve. Those problems may have nothing to do with banking, but they may have a lot to do with customer satisfaction or, more important, customer confidence. It could be as simple as knowing who to call at the bank. Maybe the TV spot is the first in a series of brilliant, informative ads. Then again, maybe this is all there is. We don’t know. All we sort of know is that a new Wells Fargo Bank started in 2018. We will to wait and see whether it turns out more like the Wells Fargo that started in 1852 or the Wells Fargo we saw spinning in scandal in 2017.